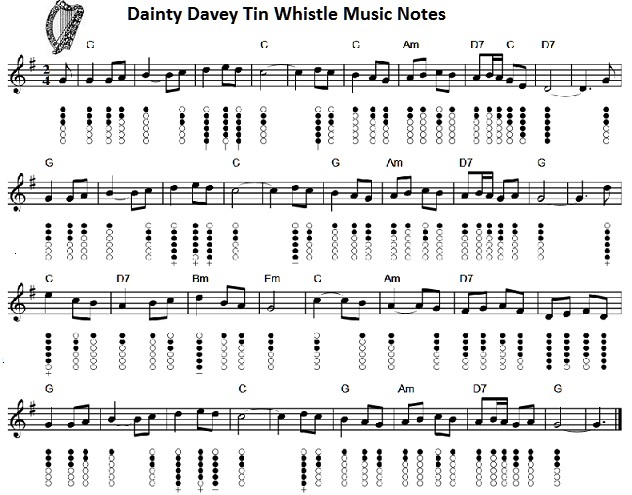 Dainty Davie sheet music and tin whistle notes, Robert Burnes. A traditional tune from Scotland, recorded by Luke Kelly with The Dubliners. There are two different versions which use different keys.